StabiliT Bone Cement – Trusted Cement. Simplified Delivery. Thirty years ago, the first-generation percutaneous vertebral augmentation (PVA) system was introduced for the management of painful pathologic vertebral compression fractures. Since then, PVA treatment has had dramatic improvements in both bone cement formulations and delivery systems. For example, higher cement viscosity has been considered desirable in recent years, but as viscosity increases, working time decreases. Therefore, conventional high-viscosity cements, with relatively short working times, often result in cement clogging the delivery system prior to the physician completing a procedure. 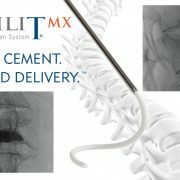 To address such challenges head on, Merit Medical’s portfolio of StabiliT Bone Cement with expanded delivery options in the StabiliT Vertebral Augmentation Systems has two main advancements over the competition: 35-minutes extended working time with remotely controlled delivery and trusted high-viscosity bone cement. Merit’s unique proprietary StabiliT Bone Cement formulation offers physicians time flexibility to do a procedure in a controlled fashion, regardless of its complexity and number of levels requiring treatment. Physicians can also routinely initiate procedures with a unipedicular approach and still have adequate working time to convert to a bipedicular procedure, if required, avoiding the need to rush or mix additional cement. In the original StabiliT Vertebral Augmentation System, proprietary ultra-high viscosity bone cement is heated with radiofrequency (RF) as it passes through a warming cartridge and its polymerization is accelerated just prior to being delivered into the vertebra. The controller’s software algorithm applies more RF energy initially to rapidly increase the cement viscosity and then less as time goes on, enabling the delivery of the same ultra-high viscosity over an extended working time. Delivery of this ultra-high viscosity cement is remotely controlled by the physician at an optimized delivery rate. In response to some physicians desiring this same control but in a simplified design, Merit launched the StabiliT MX Vertebral Augmentation System. 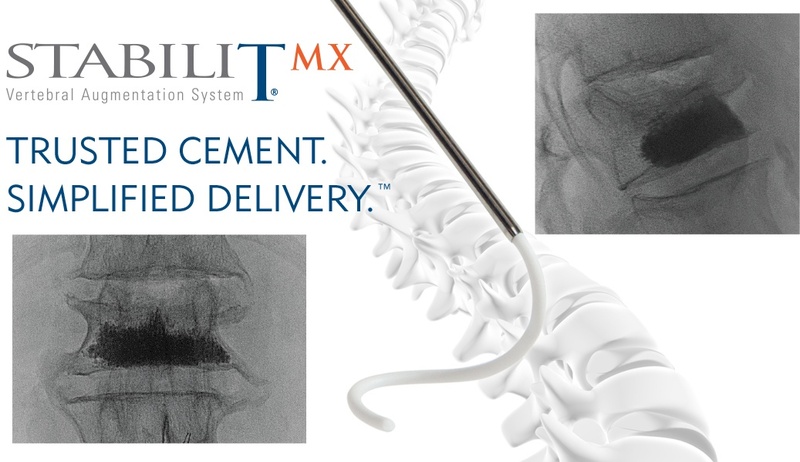 The StabiliT MX uses high-viscosity bone cement that has the same clinical benefits and same 35-minute extended working time, but it doesn’t require a controller or RF energy. The StabiliT MX provides high-viscosity cement that’s hand delivered using an ergonomic precision syringe. The StabiliT MX delivery syringe contains a quick release clutch mechanism that allows for immediate cement flow stoppage. The use of a 3-foot hydraulic line increases the distance from which cement is conventionally hand delivered, helping to minimize a physician’s radiation exposure.4 Other features include a unique vacuum-based mixing system and articulating instrumentation for site and size specific cavity creation. PVA treatment has been shown to significantly relieve pain of vertebral compression fractures.5 Merit is committed to providing technology that gives physicians maximum control as well as flexibility in cement and delivery options in order to optimize patient care. By using Merit’s trusted cement and simplified delivery systems, why not bring these benefits to your practice? Alicia Armeli is a paid consultant of Merit Medical. For more information please refer to Instructions for Use. Consult product labels and inserts for any indications, contraindications, potential complications, warnings, precautions and directions for use. Lador, R., Dreiangel, N., Ben-Galim, P., et al. (2010). A pictorial classification atlas of cement extravasation with vertebral augmentation. Spine J, Dec; 10(12): 1118-1127. Loeffel, M., Ferguson, S. J., Nolte, L. P., et al. (2008). Vertebroplasty: experimental characterization of polymethylmethacrylate bone cement spreading as a function of viscosity, bone porosity, and flow rate. Spine, May; 33(12):1352–1359. Georgy, B. (2013). Comparison between radiofrequency targeted vertebral augmentation and balloon kyphoplasty in the treatment of vertebral compression fractures: addressing factors that affect cement extravasation and Pain Physician, Sept-Oct; 16(5): E513-518. Mpotsaris, A., Abdolvahabi, R., Hoffleith, B., et al. (2011). Percutaneous vertebroplasty in vertebral compression fractures of benign or malignant origin: a prospective study of 1188 patients with follow-up of 12 months. Dtsch Arztebl Int, May; 108(19): 331-338.
https://www.merit.com/wp-content/uploads/2015/12/StabiliTMX_Cement_slider.jpg 599 1037 Merit Medical https://www.merit.com/wp-content/uploads/2018/11/merit-header-logo.svg Merit Medical2017-06-28 11:32:032018-02-23 13:50:15StabiliT Bone Cement - Trusted Cement. Simplified Delivery. Merit Medical will be hosting the next ThinkRadial Education Course on October 13-14 for Interventional Cardiologists and Radiologists. Physicians are already looking forward to this course and the opportunity to learn from the “Father of Transradial Intervention,” Dr. Ferdinand Kiemeneij. Merit is honored to once again have Dr. Kiemeneij proctor this course, to share his extensive knowledge and experience, as he did in the April ThinkRadial Course. This course will be held at the Merit Medical Global headquarters in Salt Lake City, UT on Friday, October 13 and Saturday, October 14, 2017. Interventional Cardiologists who currently practice the transradial access technique, who want to advance their skills for more complex interventional procedures, will be proctored by Dr. Sandeep Nathan (University of Chicago) as well as Dr. Ferdinand Kiemeneij. 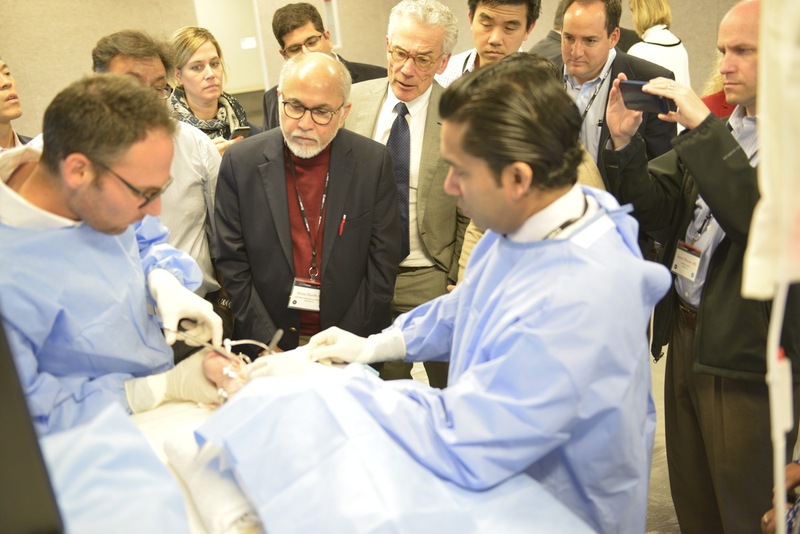 Interventional Cardiologists attending the course will present their own complex cases for discussion and troubleshooting as well as observe complex taped cases. These physicians will learn how to navigate potential complications and increase their use of transradial for complex interventions. Interventional Radiologists who are new to the radial approach as well as those who want to increase their knowledge and skill will be proctored by Dr. Darren Klass (Vancouver General and UBC Hospitals). 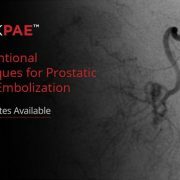 Interventional Radiologists will be taught the data and economics supporting transradial access, learn about patient selection, room set-up, and equipment selection. They will learn and practice access and hemostasis techniques and discuss how to navigate potential complications. Both groups will have the opportunity to practice the radial technique on cadavers. Dr. Kiemeneij performed the first transradial coronary angioplasty in 1992, followed by transradial stenting in the same year and stenting on an outpatient basis in 1994. Dr. Klass is an expert in transradial radioembolization and is developing a robust hardware platform for radial access to the liver. His practice is 90% radial for liver interventions and fibroid embolization. The October ThinkRadial Course is a full day and a half of didactic presentations, taped cases and hands-on training opportunities, complimented by a group dinner and presentation by the guest of honor, Dr. Ferdinand Kiemeneij. Accuracy matters. We help you get there. Since Merit Medical’s founding, we’ve set out to build the world’s most customer-focused healthcare company by understanding customers’ needs and innovating a diverse range of products that improve the lives of people. Our Interventional Oncology & Spine (IOS) products illustrate just this, and we are excited to present several of them to you at the World Conference of Interventional Oncology (WCIO) 2017. We continually hear from our physician customers that they need tools to help deliver therapies to difficult anatomy. 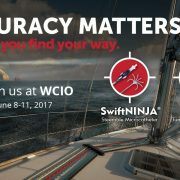 So, our focus for this year’s WCIO is to highlight two devices that aim to provide these navigation solutions, with the ability to reach challenging anatomy with accuracy. SwiftNINJA® Steerable Microcatheter – The SwiftNINJA® steerable microcatheter is the most advanced and only 180° articulating microcatheter on the market today. It allows for positioning and re-direction within the vessel without the need for a micro guide wire. The proprietary straight-tip catheter articulates up to 180° in opposing directions to rapidly select the most challenging and complex vasculature during embolization procedures. STAR™ Tumor Ablation System – The STAR™ Tumor Ablation System is designed for the palliative treatment of painful metastatic spinal tumors. Included in this system is the SpineSTAR® Ablation Instrument, which allows for precise navigation through the pedicle and into the desired areas of the vertebra-containing tumor, allowing for fast, targeted tumor ablation. 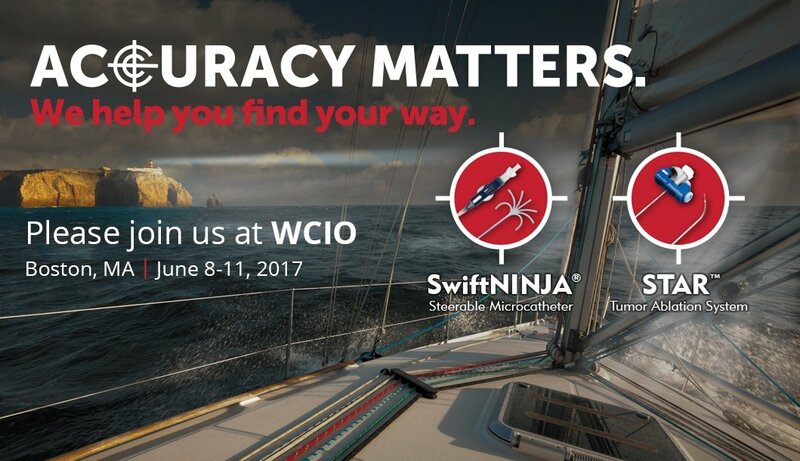 Come to booth #510 to learn more about navigation with the SwiftNINJA® and SpineSTAR®. WCIO will also be conducting several workshops where you can view these products. 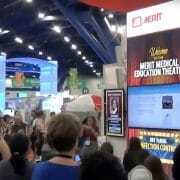 Click here to learn more about Merit’s WCIO attendance and workshops. For a complete step-by-step guide to delivery, refer to Instructions for Use. Please consult product labels and inserts for any indications, contraindications, potential complications, warnings, precautions and directions for use. https://www.merit.com/wp-content/uploads/2017/12/WCIO-Web-Banner.jpg 610 1059 Merit Medical https://www.merit.com/wp-content/uploads/2018/11/merit-header-logo.svg Merit Medical2017-06-06 15:18:582018-07-13 16:17:21Accuracy matters. We help you get there. Merit Medical loves Critical Care Nurses! https://www.merit.com/wp-content/uploads/2017/06/NTI-2017.jpg 2285 4063 Merit Medical https://www.merit.com/wp-content/uploads/2018/11/merit-header-logo.svg Merit Medical2017-06-01 08:31:332018-02-23 12:45:45Merit Medical loves Critical Care Nurses!